The T-Rex backpack trophy keychain is a cosmetic reward you can earn in The Division 2. You can earn it by playing through the new Tidal Basin stronghold. Which, yes, is a little bit easier said than done. Still, having a good team will probably solve the situation. That said, here’s our Division 2 T-Rex Keychain Backpack Trophy Location guide to explain exactly where to find and how to get the new backpack trophy from the Tidal Basin stronghold. Where to Find T-Rex Backpack Trophy Keychain in Division 2? To find the T-Rex backpack trophy keychain in The Division 2, you’ll have to complete the Tidal Basin stronghold. By this point, I’d imagine that you already know how to get in there. If not, though, check out our Tidal Basin Stronghold – How to Start guide. Anyways, once you reach the end of the mission, you’ll face Milla “Wyvern” Radek. She takes a stupid amount of bullets and explosives, but playing with a good strike team should drop her fairly easily. Once you down her the first time, you’ll get the T-Rex backpack trophy keychain. We got the T-Rex backpack trophy on Story difficulty, so it truly does not matter what difficulty you’re going to play it on. Whatever the scenario is when you first defeat Wyvern, you’ll get the little T-Rex, along with all the other valuable loot she gives you. That, of course, doesn’t mean that you shouldn’t keep grinding Tidal Basin on higher difficulties in order to earn progressively better loot. Among said loot is the Pestilence Exotic LMG and the Adrestia SR1 Sniper, to name just two possibilities. 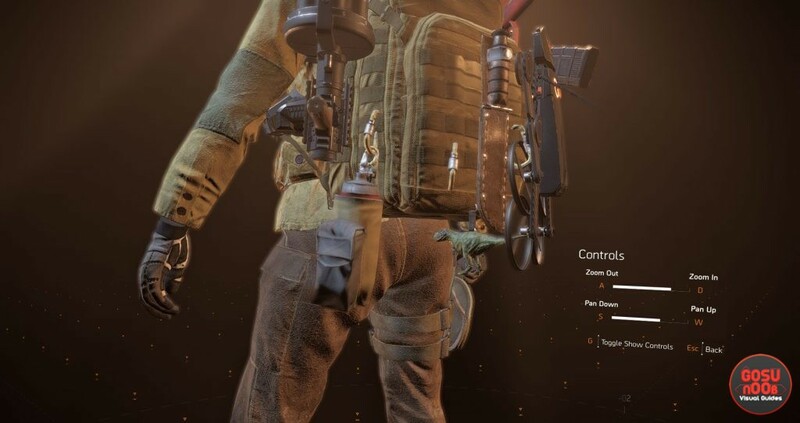 So, yeah, that’s the whole story of how to unlock the T-Rex Keychain backpack trophy in The Division 2. If you’re still missing some of them, check out our Division 2 Backpack Keychain Trophies Locations guide and find out how to get what you need. Good luck, agents.